A silky, non-comedogenic acne serum for all kinds of skin concerns. Essential oils work together to address several core causes misbehaving skin. Cannabis Sativa Seed Oil is cold-pressed from Organic Hemp Seeds, from industrial hemp, to create the base of this silky serum. Cold-pressed Red Raspberry Seed Oil is then cold-mixed with Hemp Seed Oil and our synergistic Misbehaving Blend to create the perfect light serum for acne-prone skin. This is the same essential oil blend as the MISBEHAVING Face Serum, but a base of just Hemp + Red Raspberry Seed Oils with a lower essential oil dilution. This very safe dilution makes this serum ideal for the most sensitive of acne-prone skin, especially younger acne sufferers in their teens + tweens. I typically use this serum, as my skin is under control. This is also a great option if you have been using the MISBEHAVING FACE SERUM for awhile and want to keep it in your routine while adding some other products. 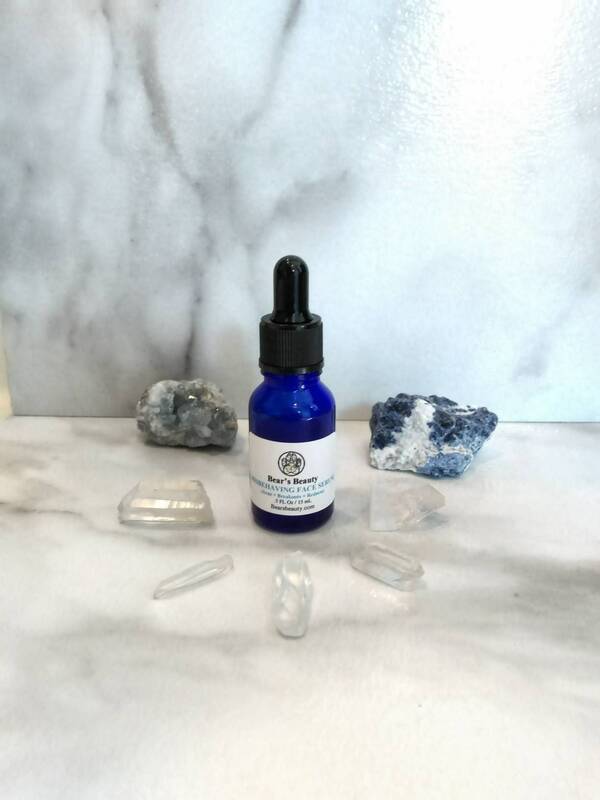 ◆ Essential Oil Blend of more than 12 Therapeutic and Organic Essential Oils works to reduce symptoms of breakouts as well as encourage healthier skin. Blended at a safe therapeutic ratio. Essential Oils are concentrated plant actives. ☛☛When you first start using this serum, there may be a slight detox phase. The oils in this serum thin sebum and bring clogged pores to the surface. Regular, GENTLE, exfoliation will help speed this process along. ★Red Raspberry Seed Oil offers natural protection as well as high antioxidant content. Apply 3-6 drops to cleansed skin AM + PM. May be mixed in with your moisturizer of choice as well. Try mixing with 1 pump of the Super Natural Cleansing Gel and applying as a hydrating treatment serum. I use this all over, every day.